When it comes to street appeal, nothing beats timber cladding, with performance qualities that equal its architectural adaptability. Timber cladding is what you think of when you visualise a classic Australian home, whether it’s a suburban Queenslander or the Pritzker Architecture Prize-winning excellence of Glenn Murcutt’s designs. But it’s not just tradition that keeps us returning to this most versatile of materials, it’s the way timber is perfectly designed for our country’s varied conditions. The natural flexibility of timber as a material stands up to our extremes of climate and country, whether they be high winds, driving rains, salt-laden winds, highly reactive soils, subsidence or even earth tremors. 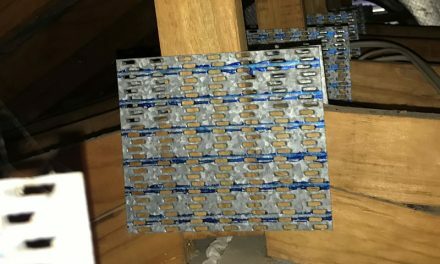 There are even commonly available timber claddings made from species rated to BAL 29 for bushfire danger, without additional treatment. This ability to adapt to situations is echoed by timber’s ability to adapt to different architectural styles and trends, whether in profile, in finish, or even with a coating or colour finish. 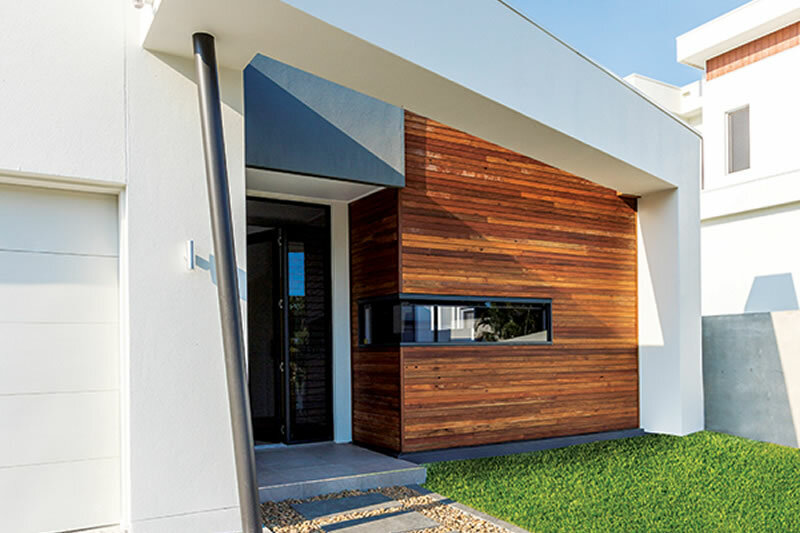 Able at once to look timeless and also completely of the moment, timber is the most versatile cladding material available, and that’s just the start of its benefits. “It’s a common misconception that steel is better than timber from a fire-risk perspective,” says Michael Kennedy of Kennedy’s Timbers. 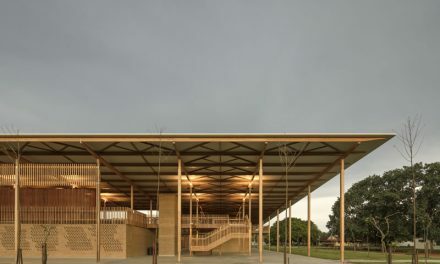 His business supplies high-quality reclaimed and sustainable architectural timbers around Australia, with an emphasis on the Queensland market. While Kennedy’s stocks a great many fire-resistant timbers, it doesn’t stock a charred cladding, but other suppliers in the Australian market do. Eco Timber’s Charred Timber cladding is long-term maintenance free and colourfast – which makes perfect sense, since the colour is an integral part of the finished timber board. The charring process creates a carbon crust that is UV resistant, so won’t ‘silver’ or ‘grey’, as untreated timbers will. The base timbers for Charred Cladding include red ironbark, Queensland spotted gum and blackbutt. There are two depths of char to choose from: ‘standard’, with its elegant black finish, or ‘deep’, with a crackled appearance and they are available as external boards, pre-oiled with Cutek CD50, or internal board, sealed with a matte water-based polyurethane to stop the carbon residue transferring. Timber screens, battens, posts and so on can also be charred to order to complete the overall design, and custom profiles made. The cladding requires a degree of finesse in its installation, with special black screws and Black Ash Cutek Timber Protection Oil used to seal cut ends and conceal any blemishes made during the installation process, but it’s a small price to pay for a product that not only looks as though it has stepped straight from an episode of Grand Designs, it also requires very little upkeep. Of course, not everyone is enticed by the architectural equivalent of a little black dress. It is almost impossible, however, to imagine anyone not wooed by the tactile beauty of recycled timber. Strong and weathered, this wood comes with a back story that can add interest to any new build. While timber stands up admirably to the common Queensland threats of fire, flood and cyclone, there are smaller, more insidious enemies about, but Kennedy says the main cladding species they use are surprisingly unbothered by termites: “Even in Queensland, the termites will only eat them if there’s nothing else to eat. It’s a bit like brussels sprouts and me. I’ll eat them if there’s nothing else on the plate, but I’d rather eat the plate instead. “They generally don’t require treatment, particularly the ironbark. For other species, if they’re going to be in contact with an area where termites could get to them, you would take measures. Your standard barriers will be enough,” he adds. Alongside the appearance of the timber, the other major factor in selecting a cladding is the profile of the cladding itself. The old-fashioned sawn weatherboard profile still has its adherents (and can be used very cleverly by a good designer), but most cladding in the marketplace today comes in one of the following three profiles: ship-lap, with its smooth overlapping arrangement; tongue and groove chamfer, with its tightly interlocked boards; or board and batten, with its geometric wave of battens standing proud of the boards. IronAsh is one of the most reliably versatile timber claddings on the market. Treated to H3 classification (using transparent, water-based additives), it can be easily cut, stained or painted on site. The timber comes from sustainably grown coupes, but despite its high quality, it is an affordable product for clients who are keeping an eye on budgets. For designs that focus on timber, IronAsh is perfectly matched to ASH’s main interior product. As Para says, “Our GoodWood Victorian Ash internal cladding includes regency VJ lining and a similar shiplap profile as IronAsh. This allows architects and home owners to match throughout a space, ensuring a continuous flow of design from inside to out. And for those not looking for a soothing consistency of finish in their building, IronAsh can also be adapted to provide a timber accent as part of a mixed façade. In addition to contrasts of material, cladding can be applied in contrasting directions to create a sense of play in a façade or emphasise the directionality of the architecture. Kennedy’s Timbers also offers pre-oiling for customers. Penetrating oils can be applied clear or with a tint. This style of product lowers the impact of punishing UV radiation without affecting the feel of the timber or giving it a ‘plasticky’ look. For a little more sheen, transparent film coatings can be used. These usually have higher UV coverage and last two to five times as long as an oil, but are more complex to apply. 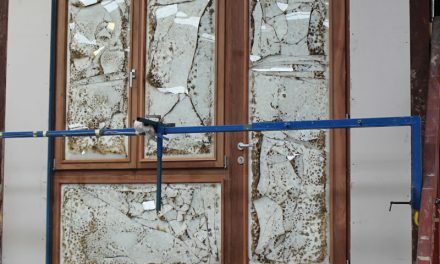 Cladding installed as directed by the manufacturer has a remarkably long lifespan, with basic maintenance. Fixings and installation details are sometimes overlooked by building designers, but provide an important part of the final look, from beads and window openings to the choice of non-corrosive nails and other fixings. Some, such as Eco Timber’s Blackheadz screws, are designed to disappear into the finished surface and it’s worth researching options. While the range of cladding choices available extends far beyond the scope of this article and includes engineered timbers, plywood and compressed wood fibreboards, all deliver a superior result in terms of insulation, appearance and durability. The report outlined the psychological and physiological benefits of timber in buildings, which mimics the effect of spending time outside in nature. It found that offices that incorporate natural-looking timber finishes were strongly associated with increased employee wellbeing and satisfaction, an effect termed ‘biophilia’. Natural wooden surfaces led to employees reporting higher personal productivity, confidence, clarity, mood and optimism.